As we gear up for the start of a new year and a clean slate on our financial goals, it’s easy to toss 2014 on the back burner and forget about the mistakes we made. But failing to learn from our mistakes is actually one of the biggest mistakes we can make. In fact, experts say that failure can actually be good for us, as long as we take the time to learn from the mistakes we made. Furthermore, a 2012 study concluded that telling students it’s okay to fail actually helps them succeed. Just because we’re ready to jump head first into the New Year and set new goals and resolutions doesn’t mean we should avoid looking back on 2014 and learning from our failures, mistakes, and accomplishments. Here are some questions to ask yourself to help you reflect on 2014 in a constructive manner, to help you learn from your mistakes, and to help set yourself up for a fabulous New Year. What am I most proud of accomplishing in 2014? When reflecting on anything, it’s always a good thing to start with the positives. By reflecting on your accomplishments first, you set yourself up to really focus on the positives. Normally people just brush aside stellar accomplishments when they should be lauded. Maybe you landed a promotion, a new job, saved for a new house, or finally started contributing to your retirement saving accounts. It’s important to list all of your accomplishments, no matter how small, so that you can actually appreciate all the hard work you did in 2014. What did I fail to accomplish and why? The “why” is the most important part of this question. A lot of us fail in certain parts of our life, but it’s the “why” we fail that matters most. Many of us fail because we fail to plan. You can’t set a goal with no action plan to achieve it. If you’re guilty of that, consider creating a S.M.A.R.T. Goal. S.M.A.R.T. goals are specific, measurable, attainable, realistic, and time-sensitive. These are the five key ingredients to any goal. Following this system when setting your goals will land you on the path to success. 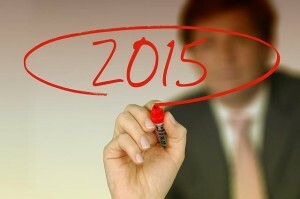 What do I hope to accomplish in 2015 and how do I plan to do it? Learning from your mistakes means taking what you didn’t accomplish in 2014, and creating a concrete action plan to follow through with in 2015. Set yourself up to succeed by setting up S.M.A.R.T. goals. Using your reflection on 2014 will help you set yourself up for success in 2015. It may not be the most fun thing to reflect on the mistakes we made. But even when mistakes are painful, it’s always good to look back and learn from our mistakes as much as possible rather than ignoring our failures. How often do you reflect back on your mistakes to better your future? What are your goals for 2015?